This is my last layout as guest designer for Lasting Memories in december! 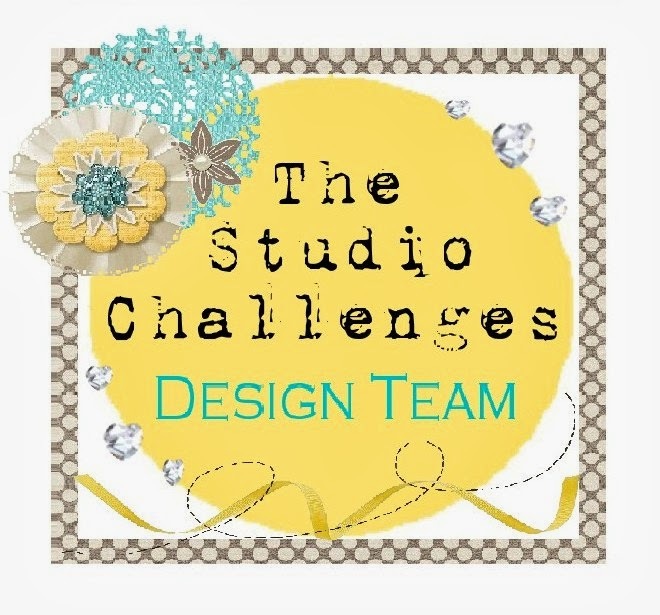 The assignment today is to use more than two photos on your christmas or winter layout! 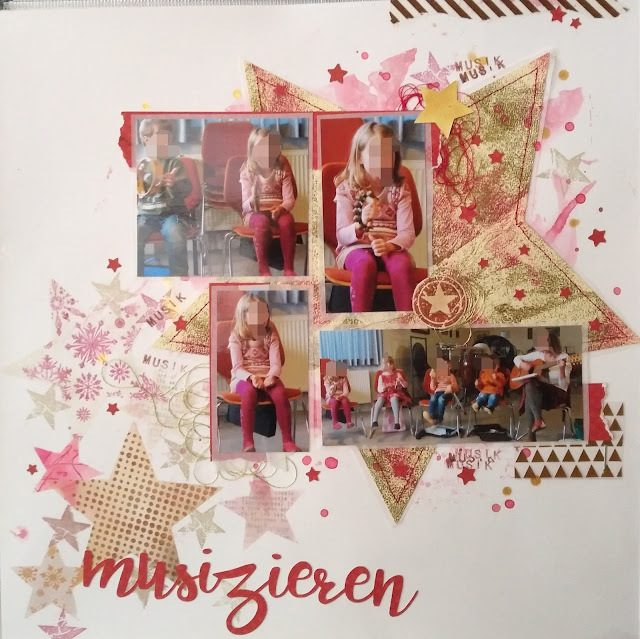 For my layout, I choosed photos from a music lesson of my daughter at christmas. I cut out a big star and made a little mess with golden and red embossing powder on it. Then I machine stitched it onto my white background. The other stars are made with a stencil, distress inks and background stamps.